I decided at the beginning of 2014 that I would read exclusively from my own shelves for the first six months of the year: I have enough books to keep me busy for twice that amount of time without hardship, and until I clear some space on my shelves I really have nowhere to put any more books anyway. However, I also decided to bend the rules for a once-a-month dip into one of the Little Free Libraries that have sprung up in my neighbourhood. I was thrilled to find a copy of Hetty Dorval in a library decorated as a purple dinosaur, so I left a book from my own collection and happily headed home with my find. Just like my favourite read of 2013 (Surfacing by Margaret Atwood) I immediately turned from the last page back to the first and re-read every word. It is entirely possible that my second book of the year may well end up being my favourite - it was just that good! Although Hetty Dorval earns the title of the novella, this is really the story of Frances "Frankie" Burnaby, and her coming-of-age teen years first in a village in British Columbia, and later in England and France. In her first person narration Frankie reveals more to the reader than she realizes about herself, and her developing personality; we see how she grows into her place in society. It is a tale not of Hetty Dorval, but of Frankie's reaction to the idea of Hetty Dorval. The Indians, in small groups, moved always together, as by some inner self-protective compulsion, like certain birds, with their own particular kind of awareness. Both the Indians of Lytton and the visiting circus folk keep together as a group even in their social isolation. But what do we do with a single woman who breaks all the rules of acceptable behaviour without appearing to be in any way affected? These are the questions this story raised for me, and continue to make me ponder. The answers are not in the story but in our personal reaction to it, just as the novella is a document of Frankie's reaction to an alternate way of being in the world. 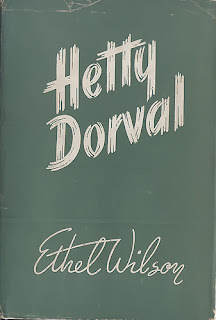 Hetty Dorval, the novella, is about the essential inscrutability of human nature. Can we ever really know each other? Can we ever really know ourselves? Are we even aware of the prejudices and social customs that act upon us in ways that allow us to adopt specific and unbending beliefs and rules of behaviour? Does Frankie realize that she is unquestioningly perpetuating the same narrow social parameters of her parents, and even allowing them to colour her younger, more honest perception of the world? Like all great writers (and Ethel Wilson is most certainly one) there is enough ambiguity in the story for us to make up our own minds about the characters. Do we believe Frankie's narration without question? Is there room for other interpretations of the story she has told? It is a reminder that we all go through life seeing the world through our own eyes, and this perspective can be too narrow to be the whole truth. Opening our eyes to the possibility that there are other completely valid perspectives is the work of a great story. Although this book is widely available in Canada, I suspect it would have been more difficult to find in other countries until Persephone Press reprinted it. I believe Ethel Wilson is the only Canadian author represented in their catalogue. I would highly recommend this book, and would love to discuss it! Terrific commentary on this novel. I like the various themes and highlights that you noted. In particular our difficulties in understanding others as well as our selves is alway a source of fascination for me. I also think that the ambiguity that you mention is often a key ingredient in the concoction of great literature. Thanks, Brian! I really felt as though she wasn't answering all my questions - that there was lots of room for me to have my own impressions and interpretation of the text, yet without feeling like it was unresolved or dangling... if that makes any sense! This is a fantastic book. So nice to see your thoughts on it, and how lucky to have come across it. 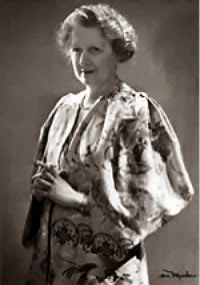 I think Ethel Wilson is such an amazing writer; I love her short stories especially, and wish that more people would rediscover her. Have you read The Innocent Traveller? I've just finished Swamp Angel (which I loved). I'm planning to read all her books - she's become a Must Read Everything Author for me! Maybe you could start a trend ;) I'm hoping to build one this summer in the little village where we have our cottage. There isn't one anywhere nearby and I'm hoping the locals take to it!